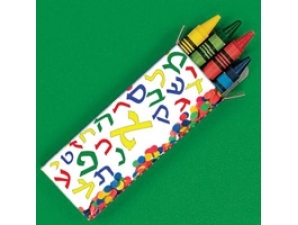 Each package of Aleph Bet crayons comes in a colorful unique Aleph Bet design. 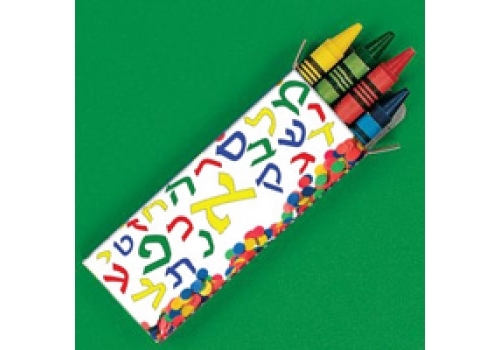 Each pack comes with four bright colors for hours of coloring fun! Each package contains 12 boxes of crayons. Each box of crayons measures 3.75" x 1.25"